Today, much is said about the Baptism with the Holy Spirit, yet there are many who talk about it and pray for it that do not have a clear and definite idea of what it is. The Bible is clear and remarkably definite on the subject. The Bible shows that the Baptism with the Holy Spirit is a definite experience that one knows whether they have received or not. Many do not understand the Baptism with the Holy Spirit because they are confused about the terminology used in the Bible to describe it. D.L.Moody commented on the confusion over terminology that was widespread among his fellow Bible teachers when he said, “O why will they split hairs? Why don’t they see that this is the one thing that they themselves need? They are good teachers, they are wonderful teachers, but why will they not see that the Baptism with the Holy Spirit is just the one touch that they themselves need.” Because people get confused over terminology we will start with the terminology the Bible uses to describe this aspect of the Spirit’s work. 1. There are a number of expressions used in the Bible to describe the Baptism with the Holy Spirit. “And being assembled together with them, commanded them that they should not depart from Jerusalem but wait for the promise of the Father, which you have heard from Me. For John truly baptised with water but you shall be baptised with the Holy Spirit not many days from now” (Acts 1:4-5). Jesus also identified “The Promise of the Father” as being “clothed with power from on high.” “You are witnesses of these things. And behold I send the Promise of the Father upon you but wait in the city until you are clothed with power from on high” (Luke 24:48-49). On the day of Pentecost when “the Promise of the Father” was given we read where they were all “filled with the Holy Spirit” (Acts 2:4). When the Gentiles received the Baptism with the Holy Spirit we find three expressions used that all refer to the same experience that the apostles themselves had received. “While Peter was still speaking these words the Holy Spirit fell on those who were hearing the word. And those of the circumcision who had believed (on the day of Pentecost) were astonished because on the Gentiles was poured out the gift of the Holy Spirit. For they heard them speak with tongues and magnify God. Then Peter answered “can any man forbid water that these should not be baptized who have received the Holy Spirit as well as we” (Acts 10:44-47). Notice the three expressions “The Holy Spirit fell on them” “The Gift of the Holy Spirit” And “Received the Holy Spirit” All refer to the Baptism with the Holy Spirit. Peter later relating this event to the Christians in Jerusalem plainly states that the Gentiles had received the same Baptism with the Holy Spirit that He and the others had received on the day of Pentecost. “And as I began to speak the Holy Spirit fell on them as on us at the beginning. Then I remembered the word of the Lord how that He said ‘John indeed baptised with water but you shall be baptised with the Holy Spirit. Seeing then, that God gave them the like gift as he did to us who believed on the Lord Jesus what was I that I could withstand God” (Acts 11:15-17). So then these expressions “The Promise of the Father” “Power from on High” “Filled with the Spirit” The Holy Spirit fell on them” The Gift of the Holy Spirit” “Received the Holy Spirit” all refer to the one common experience of the Baptism with the Holy Spirit. 2. The Baptism with the Holy Spirit is a definite experience that one knows they have received. Now, The Lord Jesus told His disciples to wait in Jerusalem until they had been clothed with power from on high. If it weren’t a definite experience how would they have known when the days of waiting were over? What changed Peter from a coward into a powerful preacher proclaiming the truth from the rooftop for all to see? If there wasn’t something remarkably definite about it why did Simon the Magician offer the apostles money so that he could have the power he had seen when the Samaritans themselves received the Baptism with the Holy Spirit? In Acts chapter nineteen Paul asked the disciples from Ephesus “Did you receive the Holy Spirit when you believed?” By their answer they hadn’t received any such experience. These disciples were probably converts of Apollos who had been preaching at Ephesus. The Holy Spirit would have regenerated them as they were already disciples and knew about the Lord Jesus. Paul observed that something was missing in their Christian experience. From Paul’s question it is clear that he expected them to answer “yes” or “no.” A little while later they knew that they had received the Baptism with the Holy Spirit. The Bible is a definite book and shows us that the Baptism with the Holy Spirit is a definite experience that one knows whether they have received or not. A person who knows their Bible and has experienced the new birth can say “yes” to the question have you been saved? Likewise, a person who knows their Bible and has experienced the Baptism with the Holy Spirit can say “yes” to the question “Have you received the Holy Spirit since you believed?” On the other hand there may be those who are saved but don’t know it because they don’t know their Bibles but it is their privilege to know it. Likewise, there may be those who have been baptised with the Holy Spirit but don’t know it because they don’t know their Bibles but it is their privilege to know it. Many years ago in a parish where I was in fellowship one of the ladies in that church had this experience. She was always full of the joy of the Lord. The church itself was not open at all to the gifts of the Spirit. One Sunday after having had lunch with her and her family members we talked about the Baptism with the Holy Spirit. She herself had never been taught about this aspect of the Spirit’s work. After I had explained how I understood it Biblically she said that she had a similar experience. She said that one day when she was washing dishes at the sink suddenly she was filled with the joy of the Lord at a specific moment in time and that her joy had continued. It was obvious that something had happened to her as she always exhibited the joy of the Lord in her life. While she had not clearly understood at the time that there was such an experience from the Holy Spirit it did not stop the Holy Spirit from filling her life with Himself. She was a true believer, baptised and indwelt by the Holy Spirit. As we will see there is a difference between the Spirit indwelling and the Spirit poured out. While they can and should be a simultaneous experience such as in the case of the Household of Cornelius in most cases the New Birth and the Baptism with the Spirit are two separate and distinct works of the Holy Spirit. This leads us to the next point. 3. The Baptism with the Holy Spirit is a separate and distinct work of the Holy Spirit than that of His regenerating work. To be spiritually reborn by the Holy Spirit is one thing but to be baptised with his power is something-different altogether. The Baptism with the Holy Spirit is something different, something further. In the New Testament we see a difference between the Holy Spirit indwelling and the Holy Spirit outpoured. The Holy Spirit had already regenerated the disciples before Pentecost. There is quite a deal of Biblical evidence for this. On two occasions Jesus had pronounced them “clean.” “You are clean through the word I have spoken to you”(John 15:3). “You are all clean, all except one of you”(John 13:10). The only man not regenerated by the Spirit was Judas Iscariot. The others were spiritually reborn because Jesus had breathed His Word into their minds and hearts through the Holy Spirit. Jesus himself said, “The Spirit give life, the flesh is of no use at all in this, the words I have spoken to you are Spirit and Life.” On another occasion Jesus actually implied that the Holy Spirit already lived in the apostles before Pentecost. “But you know him (the Holy Spirit) for he lives with you and is in you” (John 14:17). This was an alternate translation of earlier manuscripts. The clearest evidence we have that the disciples were born again before Pentecost is when Jesus after His resurrection breathed on them and said, “Receive the Holy Spirit.” Without the New Birth no-one can see the kingdom of God. The Lord Jesus made this clear to Nicodemus in John chapter three. Nicodemus should have known about this experience from the Old Testament scriptures. According to Romans 8:9, a person cannot be saved without the Holy Spirit living in them. Paul tells us this, “If a man does not have the Spirit of Christ he does not belong to Christ” (Romans 8:9). In the work of regeneration or the new birth the Holy Spirit and the Word of God work simultaneously together in a person’s life. The Word itself, no matter how faithfully it is preached, will regenerate no one spiritually unless the Holy Spirit makes it a living reality in a person’s life. The Word of God is the instrument that the Holy Spirit uses to produce the new birth. As Peter tells us; “For you have been born again not of perishable seed, but of imperishable, through the living and abiding word of God” (1 Peter 1:23). Likewise James tells us; “He chose to give us birth through the word of truth”(James 1:18). The Lord Jesus also said; “The seed is the word of God” (Luke 8.11). The Apostle Paul confirms this when he says; “The sword of the Spirit is the word of God” (Ephesians 6:17). According to Jesus parable of the sewer in Luke 18 the Word of God is involved in the work of the new birth. The seed with life in it is God’s word. The sewer is the believer preaching the word. The soil is the human heart. The Holy Spirit is the water of life that causes the seed to spring up in the soil of the heart producing the spiritual fruit. When God plants the seed of His Word into the soil of our hearts we become partakers of His Divine nature. “He has given us His very great and precious promises so that through them you may participate in the Divine nature and escape the corruption in the world caused by evil desires” (2 Peter 1:4). From the day of Pentecost onwards the Spirit of God has been made available to every believer and if the church functioned according to the practice of the New Testament then we could be born again and receive the Baptism with the Holy Spirit at the same time. Peter tells us this. (Acts 2:38-39) However, in most cases the new birth and the Baptism with the Holy Spirit are two separate and distinct works of the Holy Spirit. Multitudes of Christian believers, ministers, church leaders, full-time workers, Sunday school teachers, and missionaries know that they are born again and love the Lord with all of their hearts yet if they are honest will confess to a dimension of spiritual power lacking in their witnessing and ministry. This is a fact that cannot be denied! The early Christian writers, both the Greek and Roman Fathers of the church testify to the fact that in the second century and later that it was customary to anoint Christians with oil and to pray for them to be filled with the Holy Spirit just as they were prayed for in Biblical times. Tertullian writing near the close of the second century in his book on Baptism chapter eight says, “After Baptism (adult) the hand is imposed by blessing calling and inviting the Holy Spirit. Then that most willing Holy Spirit descends from the Father upon the bodies that are cleansed and blessed.” Melchiades who lived around 320 AD said, “As the military order requires, that when a general enters a soldier into the list he does not only mark him but furnishes him with arms for the battle, so that in him that is baptised, this blessing is his ammunition.” So then, the New Birth makes us soldiers. The Baptism with the Holy Spirit clothes us with the armour and weapons we need for the battle. 4. The Baptism with the Holy Spirit empowers believers for witnessing, Christian ministry and service. a. He imparts Power for witnessing. Just before He ascended to heaven the Lord Jesus promised His disciples that they would receive power to witness to Him. “But you shall receive power after the Holy Spirit has come upon you and you shall be witnesses to Me” (Acts 1:8). Compare this with (Luke 24:48-49) (Acts 1:4-5) On the Day of Pentecost when the Holy Spirit was poured out upon the 120 in the upper room we read; “And they were all filled with the Holy Spirit and began to speak in other languages as the Spirit enabled them”(Acts 2:4). When people saw what was happening some thought the believers were drunk but others heard the mighty work of God being spoken in their own languages. Following this Peter addressed the crowd in a common language they all understood and 3000 converts were added to the local church in Jerusalem. See the context. (Acts 2: 5-11) The tongues were clearly understood by the hearers! Some-time later when the Church was being persecuted by the religious leaders the believers did not pray for protection but that they might have power to witness for Christ and that the Lord Jesus would endorse the preaching of His word with signs following. After they had prayed they were all filled again with the Holy Spirit a second time. “And they were all filled with the Holy Spirit and spoke the word of God boldly” (Acts 4:31). After this second infilling with the Holy Spirit the Lord stretched out His hand to heal and to perform miraculous signs and wonders through the name of His Holy Servant the Lord Jesus Christ. After the Apostle Paul had been filled with the Holy Spirit we read; (Paul) “At once he began to preach in the synagogues that Jesus is the Son of God” (Acts 9:20). It was the same for the Gentiles when Peter was preaching the gospel to them. “While Peter was still speaking these words, the Holy Spirit came on all who heard the message…for they heard them speaking in tongues and praising God” (Acts 10:44, 46). When Paul came across the disciples at Ephesus, who were undoubtedly saved men but had never been baptised with the Holy Spirit, He laid hands on them and the Holy Spirit came down upon them in power. As we read; “The Holy Spirit came on them and they spoke in tongues and prophesied” (Acts 19:6). When we are baptised with the Holy Spirit we will have a new boldness and confidence in witnessing for Christ and a new prayer language. When Peter and John were brought before the religious leaders and questioned they replied, “For we cannot help speaking about what we have seen and heard.” (Acts 4:20) They had been filled with the Spirit again for the third time. This then is the primary purpose of the Baptism with the Holy Spirit. It will empower us as believers to witness to and for Christ! b. He imparts Power for Christian ministry and service. In these verses we are told several things about the way in which the Holy Spirit reveals His power. He will not reveal his power in the same way in every believer. There are different gifts for different avenues of ministry and service. Primarily He imparts His gifts to us to strengthen and encourage other believers in their walk with God. The gifts are given according to the Spirit’s will and not ours. He chooses the ministry or field of service and the gifts we need to do the job. Our responsibility is to be totally available to Him, without reserve, to use us according to His will and not our own. His will in the end will always prove to be good, acceptable and perfect. (Romans 12:1-2) Now the Baptism with the Holy Spirit isn’t just for ministers, missionaries and full-time workers or for those involved in special ministries. Three stumbling blocks arise from this kind of thinking. Disappointment: Many seek the Baptism with the Holy Spirit to receive power to be an evangelist, prophet or preacher, but God has not called them to that ministry and the power of the Holy Spirit has manifested itself in another way to them consequently they have become disillusioned, frustrated and even disappointed with the Lord. Presumption: A man knows that God has not called him to be an evangelist or full-time worker but rushes into full-time ministry because he has received, or thinks he has received, the Baptism with the Holy Spirit. Many have said “all one needs to succeed as a preacher is the Baptism with the Holy Spirit” but this is not true. He needs a specific call to that ministry and a disciplined study of God’s Word to prepare him for that ministry. Indifference: A woman with a large family thinks that the Baptism with the Holy Spirit is only for preachers, missionaries or for those in full-time ministry but doesn’t realize that it is for every believer. God himself said that he would pour out his spirit on his maidservants (women) and they would prophesy. 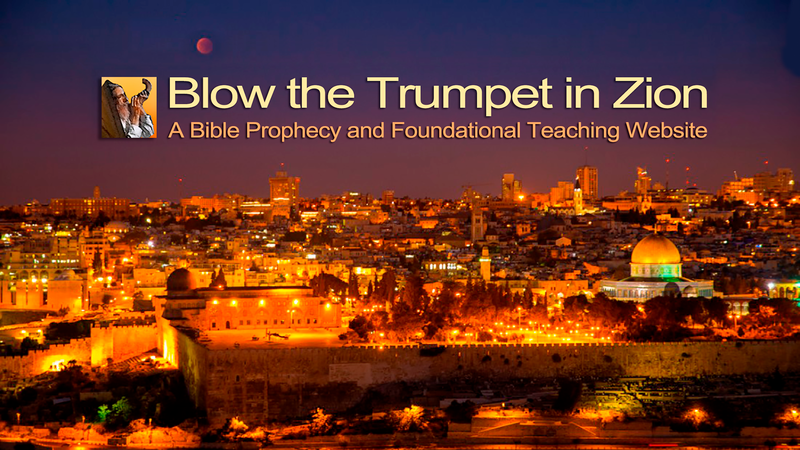 (The Spirit of prophecy is the testimony to Jesus.) A woman who stays at home to look after her children and seeks to bring them up in the fear and nurture of the Lord is just as successful in God’s sight as the evangelist who is leading thousands to Christ. She needs the Baptism with the Holy Spirit to witness to her children. Likewise the businessman or office worker who knows they are not called to full-time ministry can be very effective witnesses for Christ where they are in the work place. After all for 30 years of His life the Lord Jesus was a working man!